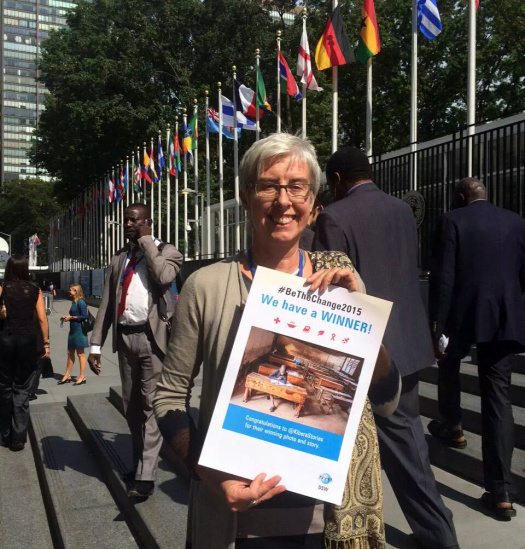 Over the last 4 weeks l joined a photo contest organised by Deutsche Stiftung Weltbevoelkerung (DSW) to celebrate the launch of the Sustainable Development Goals (SDGs) in New York. Out of over 1000 entries for the contest, my photo has clinched the top most spot. This really means a lot. Thanks to all who believed in me. 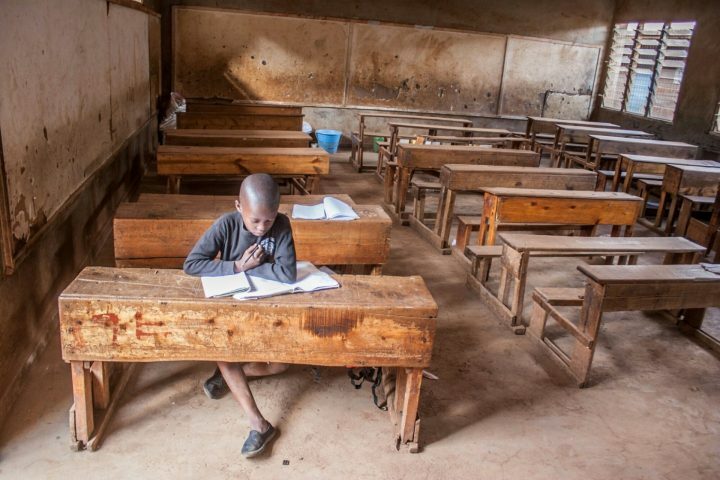 James, 7, a class two pupil at Olympic Primary School studying all he can on an empty classroom. His classmates have sorted to stay at home because of the nationwide teachers strike, but that however cannot stop him from believing in what is right. To study and study smart. RENATE BAEHR, DSW’S EXECUTIVE DIRECTOR, ANNOUNCES THE WINNER IN NEWYORK DURING THE LAUNCH OF THE SDGS. Read more on DSW website.